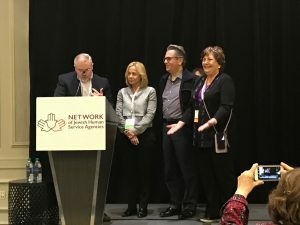 The Network, in conjunction with Start Co., launched the Jewish Poverty Challenge at the 2019 Annual Conference, in an effort to help member agencies rethink how they approach the issue of Jewish poverty. The goal is to teach members how to use tools of entrepreneurship to advance their social enterprises, ultimately making this a part of the day to day and identifying new solutions to poverty and ways to be more impactful in efforts to help people get and stay out of poverty. Watch the video here. At the end of the exercises, each group developed a “pitch deck” – a short slide presentation that describes the opportunity and touches on as many of the topics listed above. A review committee selected two “winners” who received prizes and were recognized after the April 2nd Closing Plenary. 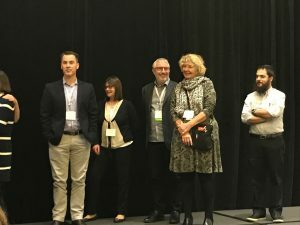 The winners were Jewish Family Service of Houston and Jewish Care NSW, an Australian nonprofit provider of services for vulnerable and needy people and community.